Cleaning and sealing will keep your new pavers, retaining walls and stone veneer looking like new for many years to come. 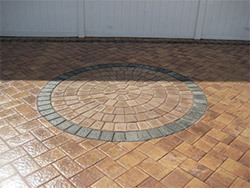 You made the smart choice by choosing the best and longest lasting pavement available. Cleaning and sealing your masonry to protect your investment is the next smartest choice you can make.